At Waterloo Heights Dental, we’re on a mission to help our friends, family, and community members lead healthier lives with brighter smiles. We could go on for days about how great our care is, but we think it’s better if you hear straight from some of our happy patients. 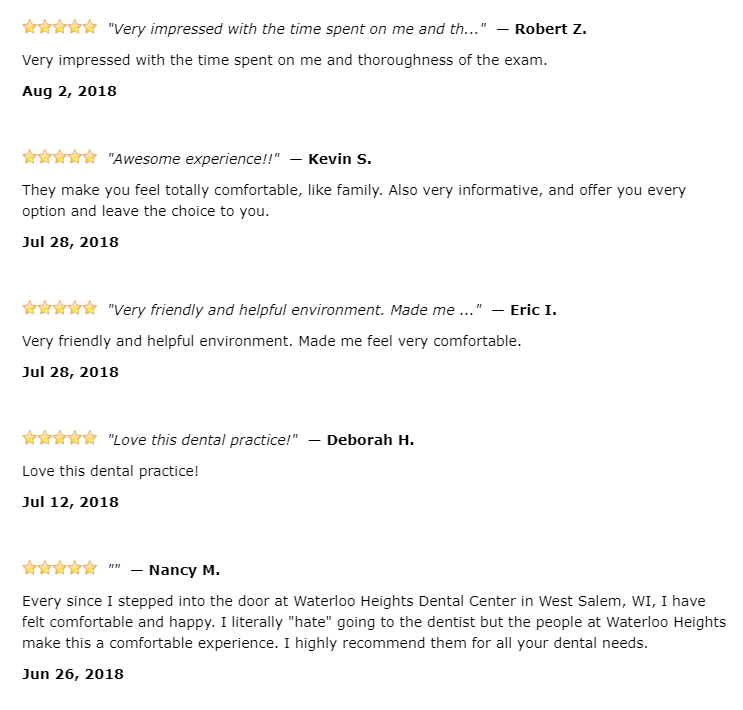 Your support of our practice is the greatest compliment we could ever receive by sharing your testimonials.